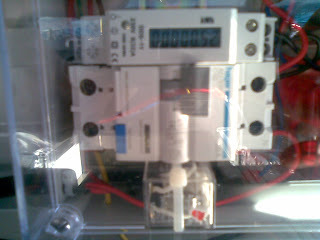 I added a DIN rail kWh meter so I can assess the efficiency from wall to wheels. i will be able to calculate Wh/km. Hopefully it will be less than 250. You can see after a few minutes of charging there has been 0.52kWh of electricity used.